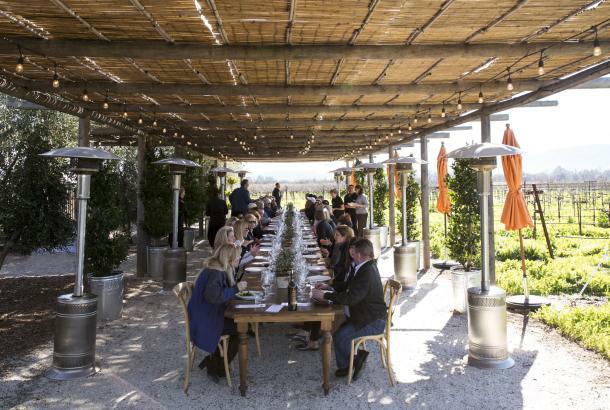 Discover what's new in the Napa Valley, including new and upcoming experiences, shops, wine tasting opportunities, restaurants and dining, wellness options and lodging. "Wine Country," the movie, debuts on Netflix on May 10, 2019. The American comedy, filmed in Napa Valley in May 2018, is produced and directed by Amy Poehler, who stars alongside SNL (Saturday Night Live) veterans Maya Rudolph, Tina Fey, Emily Spivey, Rachel Dratch, Ana Gasteyer, Paula Pell, and Jason Schwartzman. The film, which was inspired by a few memorable vacations that the comedians and their friends shared together, involves six friends celebrating a 50th birthday in Napa Valley. 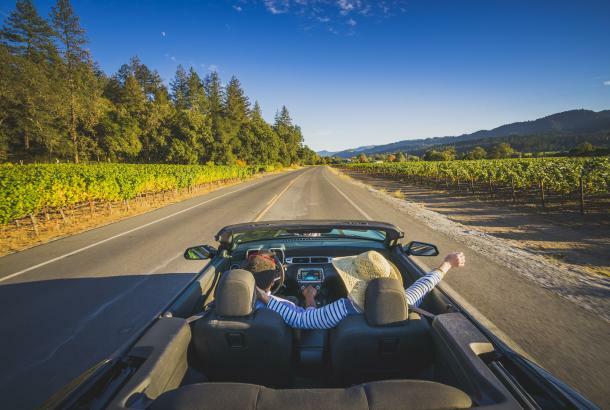 Featured locations include Artesa Winery and Baldacci Family Vineyards in Napa, and Quintessa in St. Helena. The Napa Valley Wine Train offers a new speakeasy-themed "Murder Mystery Tour" in partnership with The Murder Mystery Company, a U.S. based theatrical company. The tour, which includes a multi-course dinner, will take passengers back in time to the 1920&apos;s to solve a murder during their three-hour journey aboard the historic train. Set in the U.S.&apos;s prohibition-era, the experience will include mobsters, jealous lovers, a rival Mafioso, and a pair of undercover federal agents. Passengers will work together to solve the crime by trading clues and gathering information before time runs out and the murderer escapes. The tour, which launched on April 13, 2019 is available through November 2019. The CIA at Copia is the new home to the touring exhibition of "France is a Feast — The Photographic Journey of Paul and Julia Child." Presented by the Napa Valley Museum Yountville, the exhibition is open through September 2, 2019. Napa ARTwalk, a biannual, rotating exhibition of juried sculpture created by artists from the Western U. S., will unveil new artwork in June 2019. This curated walking tour is designed to enhance the local environment and promote the understanding and enjoyment of public art. The first Napa ARTwalk launched in 2009 and collections rotate every two years. The 2019-21 exhibition will be the sixth rotation in this program. Active Wine Adventures now offers "Napa Ultra Adventure Tour #3," along with their other private, small group tours. On the new tour, guests will experience a guided hike on a remote trail on the slopes of Napa Valley’s tallest mountain while learning about the area’s colorful history. After lunch, guests will visit a limited-production &apos;ghost&apos; winery to enjoy a private seated wine tasting evoking Napa Valley’s spirited past. Napa Valley Museum Yountville announces the opening of two exhibits running through July 14, 2019. The Main Gallery features "Picasso & the Masters of 20th Century Printmaking," while the Spotlight Gallery, features "Cows" by Napa Valley resident Laurie Shelton. This exhibit will include new works as well as a "cattle roundup" of works from the private collections of her fans. St. Helena Summer Concert Series will take place in Lyman Park the second and fourth Thursday of June, July and August 2019, 6-8pm This family-friendly event features food trucks, farmer&apos;s market vendors, wine and complimentary dessert. Guests may also pack a picnic dinner and bring low lawn chairs and a blanket. The CIA at Copia in Downtown Napa is the first West Coast venue to launch "Le Petit Chef," an interactive 3-dimensional dining experience, in collaboration with Skullmapping™ and TableMation™. Guests will follow the route of Marco Polo during the two-hour dinner show while enjoying diverse flavors, ingredients, projected 3D sights, and a six-course meal prepared by the CIA-trained chefs. Copia now also offers outdoor dining, wine tasting and games on the outdoor terrace. AVOW Napa Valley opens in Downtown Napa in early June 2019. The new bar and restaurant will offer comfort cuisine, drawing on fresh sustainable ingredients to complement the wine list. Vista Collina Resort, a Meritage Collection property, offers three new family friendly experiences on the resort&apos;s Village Lawn to celebrate a long weekend. “Food Truck Fridays” features food truck fare, cocktail specials and live music. The Village Truck rolls up to the pop-up bar each Friday from 4–6pm offering signature bites such as Fried Chicken + Waffles, Brisket Nachos and Kimchi Tacos. “Lawn Hour Saturdays” features picnic provisions from Fivetown Grocery for a unique experience each Saturday, 4–7pm. “Smoker Sundays” features live music, brews and signature sandwiches from the resort&apos;s 12-foot smoker, including smoked brisket, pulled pork and tempting sides Sundays, noon – 3pm. Guests may grab a drink from the bar or sample a variety of wines and brews at the resort’s nine tasting rooms. Brix Napa Valley re-opened on April 1, 2019 following a complete renovation. 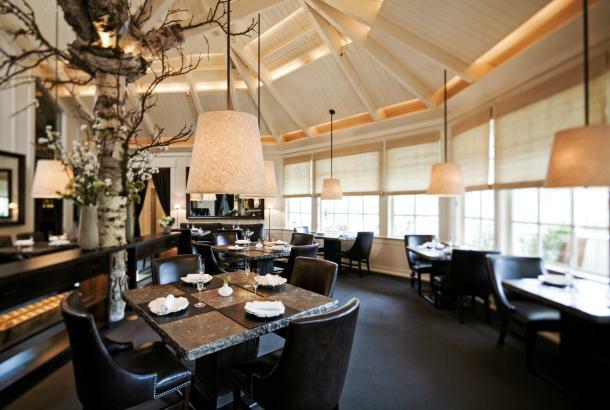 The restaurant is located on a 16-acre estate that includes Kelleher Family Vineyard, plus gardens and orchards utilized by the Brix culinary team. The restaurant space has been opened up to provide views of the Mayacamas Mountains, with the new design revolving around the bar located in the center of the restaurant. The menu has also been refreshed to focus on American fare with influences from California and the South. Roadhouse 29 opened in St. Helena in late January 2019. Under Chef Douglas Keane&apos;s guidance, the menu offers a selection of meats from local producers that have been smoked over staves from Freemark Abbey winery’s Cabernet barrels alongside produce from local farmers. The new restaurant provides counter service at lunch, full-service for dinner, and live music on Fridays. Roadhouse 29 is also one of the first restaurants in Napa Valley to be a non-tipping establishment. 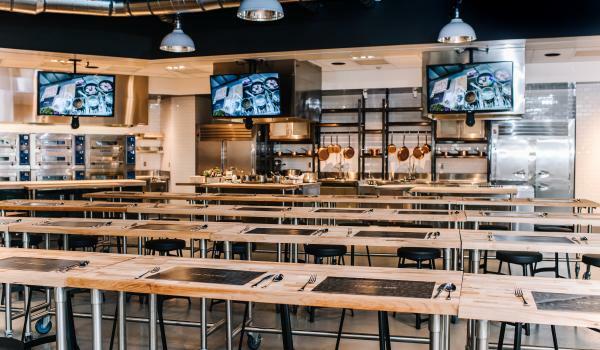 Goose and Gander offers a chefs table experience Thursday, Friday and Saturday featuring a meat-centric tasting menu with selections from the butcher program and produce from the restaurant&apos;s garden. Tiki Thursday is now offered every Thursday 6–11pm in the basement bar, where guests will enjoy specialty drinks and tiki inspired food such as the popular spam and pineapple burger, stone crab sushi roll, and nori dip and chips. Beginning in June, the restaurant will feature live music in the garden every Sunday 5–8pm. Cheer Bar Refreshments & Mercantile opened in Downtown Calistoga on April 6, 2019. The new soda fountain/arcade on Lincoln Avenue features traditional and updated soda fountain treats as well as fresh-pressed juices, pour-over coffee and light lunch offerings. The arcade space currently offers two 10-foot skee-ball machines for free play and is hoping to expand with skee-ball tournaments and additional arcade games in the future. Soul Rebel Coffee, Calistoga’s newest coffeehouse, opened its doors in January 2019. The coffee and juice bar provides fresh-brewed, organic, fair-trade coffee and tea along with a variety of fruit smoothies, baked goods and soon-to-include pressed juices and breakfast sandwiches. Lisa and Ariana Peju have opened Calmére Estate Winery and tasting room in the Carneros region of Napa Valley. In 2016 the Peju family purchased the 100-acre estate and winery and re-launched the property this spring as Calmére Estate Winery. Eleven Eleven Winery now offers Make Your Moment®, the winery&apos;s most elevated tasting experience. Hosted in a private setting, guests will enjoy a vertical tasting of four vintages of Laki&apos;s Vineyard Estate Cabernet Sauvignon, as well as other varietals from their portfolio, ending with a barrel sample. This experience also includes a cheese and charcuterie accompaniment, and tour of the working winery. The Hess Collection now offers the "Taming the Lion Blending Experience." Guests will play winemaker for a day and experiment with three varietals, learn their influence in winemaking and the art of blending, then compare the blend with the winery’s signature Lion Tamer Red Blend. The experience, which is offered daily at 10:30am, includes a bottle of the custom blend. Starmont Winery & Vineyards, located in the Carneros region of Napa offers "Starmont Friday Socials" 5–7pm every second Friday April – October 2019. Guests will enjoy live music in the courtyard, local food trucks and a glass, or bottle of Starmont wine. Alpha Omega Collective opened in Downtown Napa in April 2019, showcasing wines from Alpha Omega, Tolosa and Perinet wineries. Wine may be enjoyed by the glass, bottle, or flight, along with bites prepared by the Collective’s chef. The tasting room, located across the street from the Archer Hotel, includes sidewalk seating and an adjoining lounge with a fireplace. It will be open seven days a week; noon – 8pm Monday – Thursday, as well as Sunday; and noon – 10pm, Friday and Saturday. 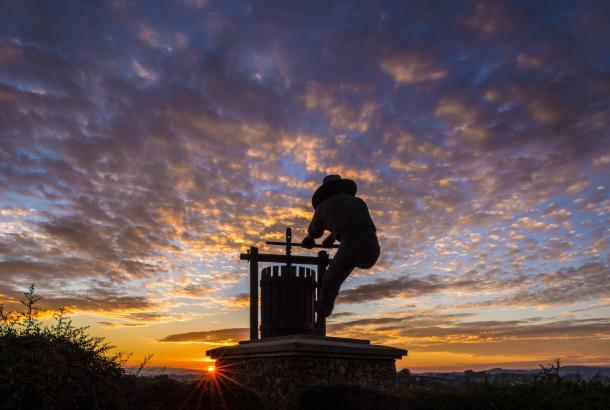 Louis M. Martini Winery unveiled its historic restoration on March 29, 2019. Built in 1933, Louis Martini was one of the first five wineries in Napa Valley to open after the repeal of Prohibition. Guests may now enjoy views through a 30-foot-high glass wall into the winery&apos;s oak barrel room while tasting wine flights at the Crown Bar or relax in the comfort of the Heritage Lounge and savor small-lot releases with innovative food pairings. Merryvale Vineyards offers "Friday Music on the Terrace" 5–7pm every first and third Friday of the month April – October 2019, featuring local musicians and Merryvale wines available for purchase by the glass or bottle. Beringer Vineyards features two new wine tasting events. "Library Lunch at the Hudson," which includes a flight of reserve and library wines curated by the winery&apos;s wine educators, paired with a five-course lunch prepared by the winery&apos;s culinary team in the historic Hudson House, is available 11:30am – 2pm each weekend. July – October 2019, guests may enjoy "Music in the Backyard" at the Sherry Shack featuring a selection of wines, food and live music. Each Friday May 3 – September 27, 2019, Amici Cellars offers "Summer Fridays" where guests join the proprietor of Amici Cellars&apos; and the executive chef of the Culinary Institute of America at Greystone at the St. Helena Farmer&apos;s Market to create a customized basket of fruits and vegetables to pair with Amici Cellars&apos; wines. The half-day experience is by appointment only for four to 10 guests and includes a behind-the-scenes tour and tasting. 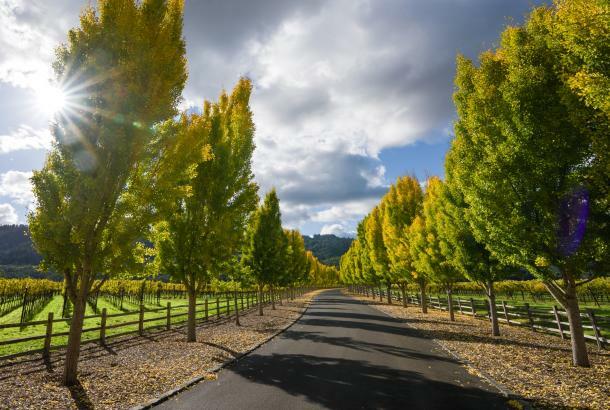 Beginning on Earth Day, April 22, 2019, LEED Platinum Certified Bardessono in Yountville will offer an immersive experience for guests looking to make a positive impact on the environment during their travels. While eco-initiatives are woven in every detail of the hotel experience, this new program invites guests to play an integral role in the development of a more sustainable future. Bardessono will plant an herb in the onsite, certified organic culinary garden for each guest who opts out of housekeeping to support a more sustainable future. The designated guest garden is an interactive experience that puts sustainability and kind travel at the forefront. Wine Country Inn and Cottages in St. Helena has completed a full renovation of all guest rooms and cottages, as well as the addition of a conference room for up to 12 guests. Many of the newly renovated rooms feature outdoor seating with either garden or vineyard views. Meadowood Napa Valley&apos;s new swimming pools are expected to be completed by late Summer 2019. A new upper pool will replace the existing lap pool located adjacent to the Fitness Center and will offer an adults-only whirlpool and cabana. The lap pool is being relocated and the existing children’s pool will be resurfaced. A newly expanded and more functional building will replace the existing family snack bar and dressing area and the dining area will include a new pool bar and outdoor courtyard with shade structures and trees. 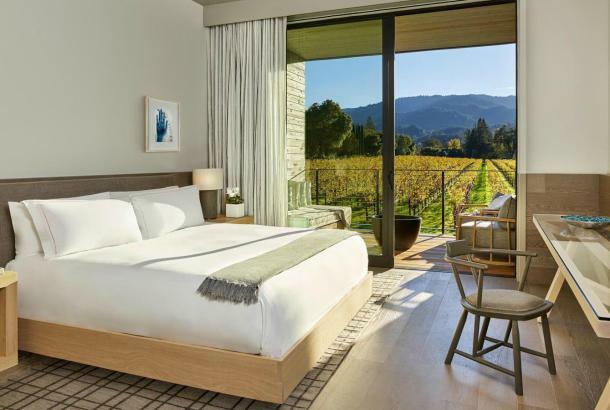 The Four Seasons Resort and Residences, situated at the northern end of Napa Valley off the Silverado Trail in Calistoga, is projected to open in fall 2019. The resort offers 85 guest rooms and suites and 20 residences featuring two-to four-bedroom properties ideal for longer-term stays. The farmhouse-inspired resort is scattered amidst a six-acre vineyard and will feature an on-site restaurant; general store; spa and fitness center; and meeting spaces. The resort will also have its own on-site winery by award-winning winemaker Thomas Rivers Brown, where guests will be able to blend their own wines. First Street Napa, a 325,000-square-foot mixed-use development in the heart of Downtown Napa, will open Pera Rug Gallery at 1210 First St. in June 2019, adjacent to Mecox and Overland Sheepskin Co. Pera Rug features a curated selection of unique handmade silk and wool rugs, including modern styles and older antique pieces. Sacramento International Airport, one of Napa Valley's partner airports, welcomes two new airlines with nonstops from Santa Barbara and Las Vegas. Contour Airlines began nonstop service from Santa Barbara to Sacramento on April 16, 2019 and Spirit Airlines will add a third nonstop option from Las Vegas, beginning June 20, 2019.